Edelman Leather is first and foremost about the people, the creative force behind the brand. Its heritage is the artistry and integrity of its founders, Teddy and Arthur Edelman, along with dynamic creative partnerships of all kinds, formed over decades of vision and dedication to all things leather. A partnership in love and art was founded. During the next decade, Teddy and Arthur took over and grew Teddy’s family business, Flemming-Joffe, a small leather goods company in New York. 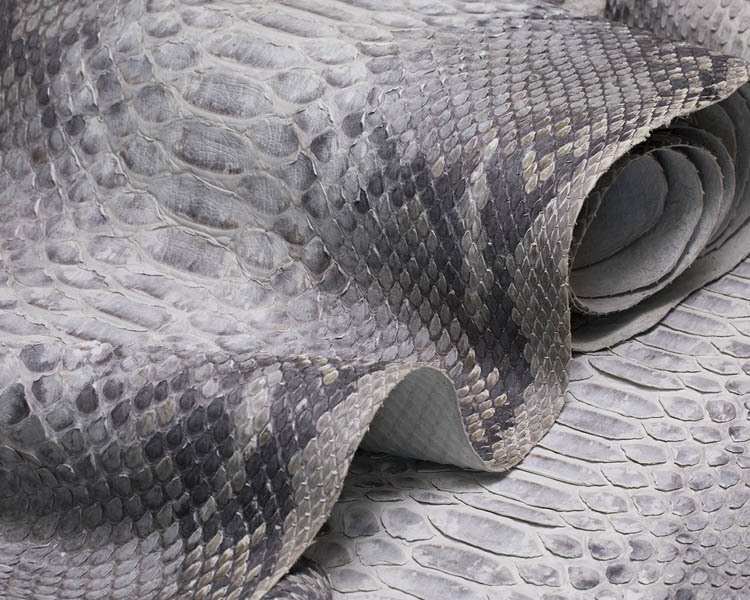 They quickly added their mark to the company, with exotic reptile skin leathers dyed in creative, bold, and unique colors. Teddy and Arthur unlocked the beauty of leather by blending craft traditions with their artistic vision. With the Edelman flair for fun, beguiling, and transformative leather at the forefront, the company soon evolved into a leading and award-winning supplier of high fashion leathers, with clients including Halston and Calvin Klein. In the 1950s and 60s, Andy Warhol became part of the vision. In the late 1950s, a then-unknown young artist, Andy Warhol, was hired as a graphic designer and worked with Teddy and Arthur from 1958 until 1964. 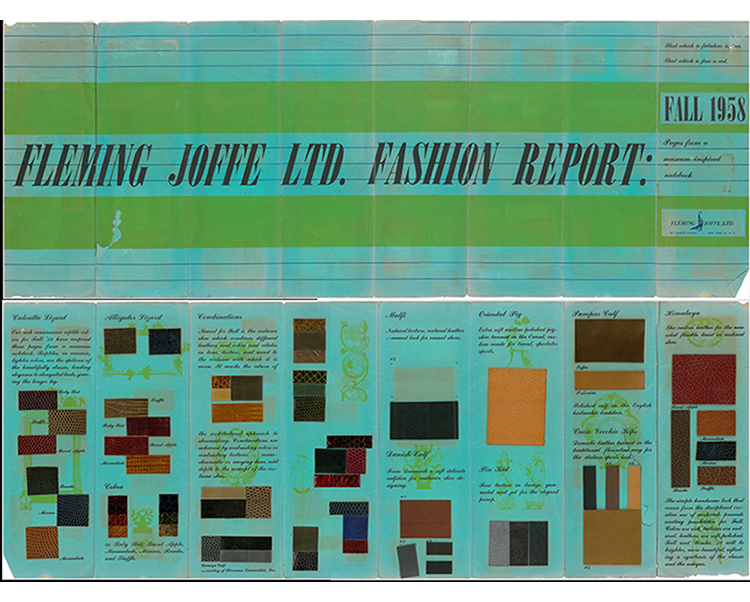 Warhol translated the Edelman artistry into graphic design, creating captivating images for Edelman leather. He created advertisements, illustrations, and a whimsical coloring book featuring animals whose hides formed the Edelman collection of leather. 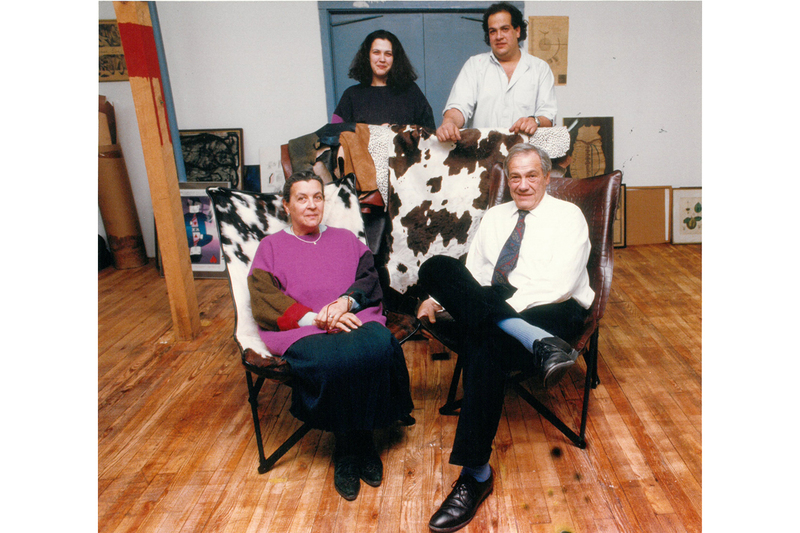 His iconic ad, “This is a Chair Upholstered by Teddy and Arthur Edelman” appeared in Interiors Magazine in 1963 and marked the entry of Edelman into the world of leather for interior design. 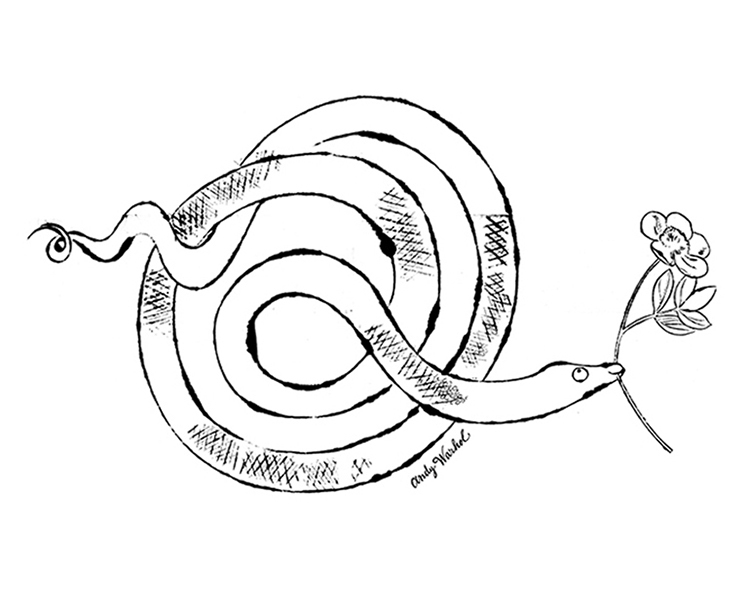 Warhol’s illustrations, “Water Buffalo,” “Dancing Calf,” and “Noa the Boa,” symbolized Teddy and Arthur’s spirit and appeal. Work by Andy Warhol on behalf of the Edelmans is currently housed in museum collections, including the Andy Warhol Museum in Pittsburgh and the Tate/National Galleries of Scotland. The Edelmans also launched an artistic venture with friend Piero Fornasetti, an Italian artist, illustrator, and furniture maker. 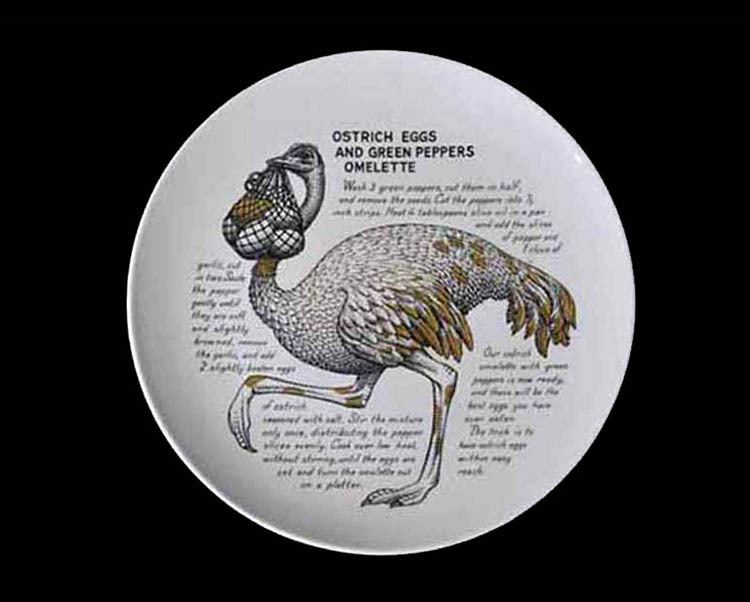 He illustrated a series of twelve promotional plates, including “Python a L’Orange” and “Dragon Lizard-Au-Feu” for Fleming-Joffe in the early 1970s. During this time, Teddy and Arthur expanded into other hides and unique embossed leathers, launching new lines and cementing their reputation as forward-thinking leaders in leather. Awards and recognition followed, including the Coty American Fashion Critics’ Award, Neiman Marcus Award for Distinguished Service in the Field of Fashion, and their first of several Roscoe awards. Always striving for reinvention, in the late 1960s they worked with Union Carbide, Inc. to create a new line of footwear and developed a new artificial leather called Corfam with DuPont. In the early 1970s, they sold Flemming-Joffe to Mitsubishi. 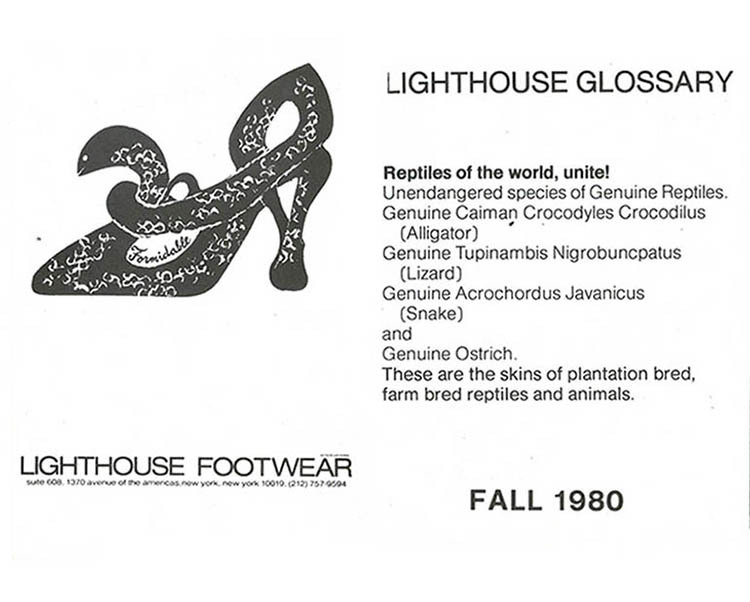 In the 1980s, they founded their own shoe company, Lighthouse Footwear, before moving on to their next and most impactful act. Edelman Leather launched for fabulous and fun interiors. In 1981, after thirty years of excellence in the leather industry, Teddy and Arthur launched Edelman Leather for interiors. The inspiration came in part when, after Lighthouse Footwear, Teddy worked for textile guru Jack Lenor Larsen as colorist and vice-president. Teddy and Arthur saw an opportunity for their luxury leather in the upscale upholstery market. 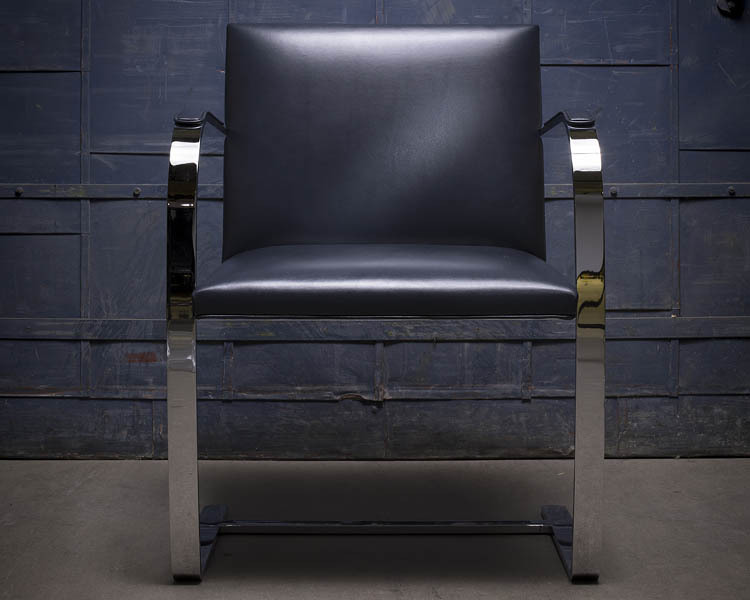 They founded Edelman Leather to inspire and serve designers and architects with fantastic, original leather for high-end hospitality, residential, aviation, and marine projects. The company partnered with the finest European tanners to ensure the ultimate end-product. 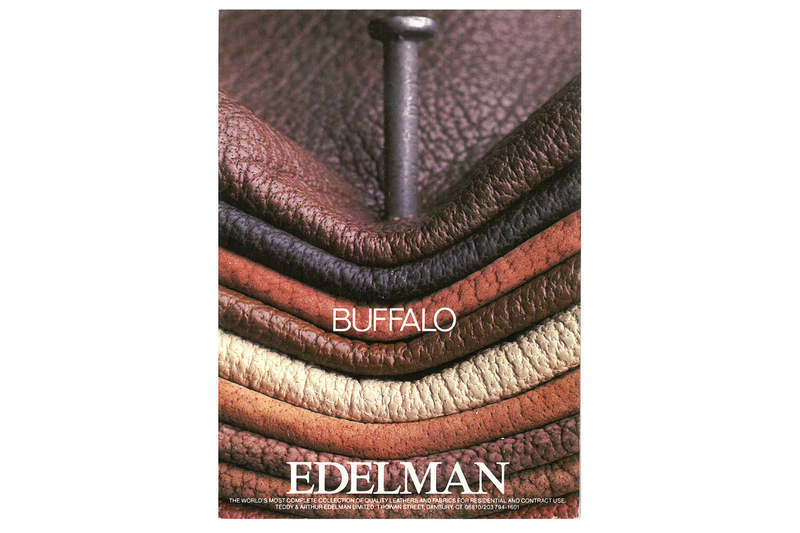 The Edelman Leather line launched with “Shrunken Buffalo Bull,” water buffalo hides transformed into strong, soft, and beautiful leather. 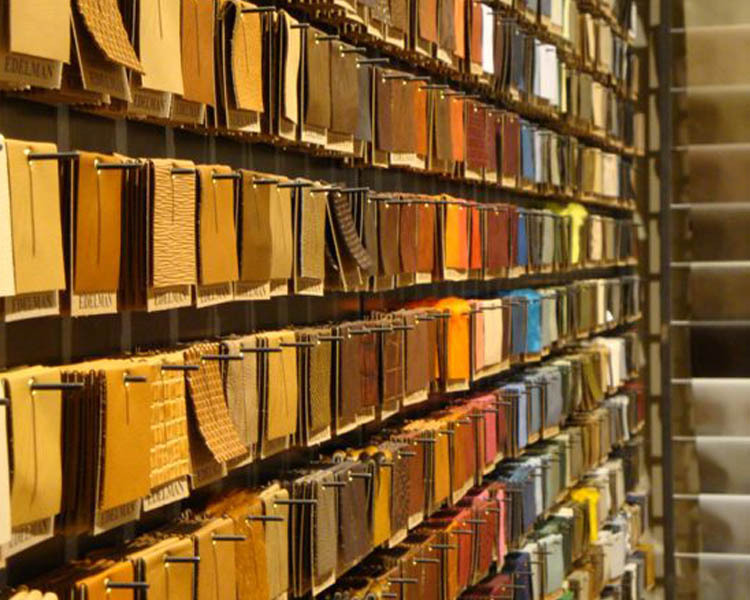 At this time, Edelman Leather could be found in high-end showrooms such as Donghia and Holly Hunt, yet the company was still housed in its initial 300 square foot headquarters. 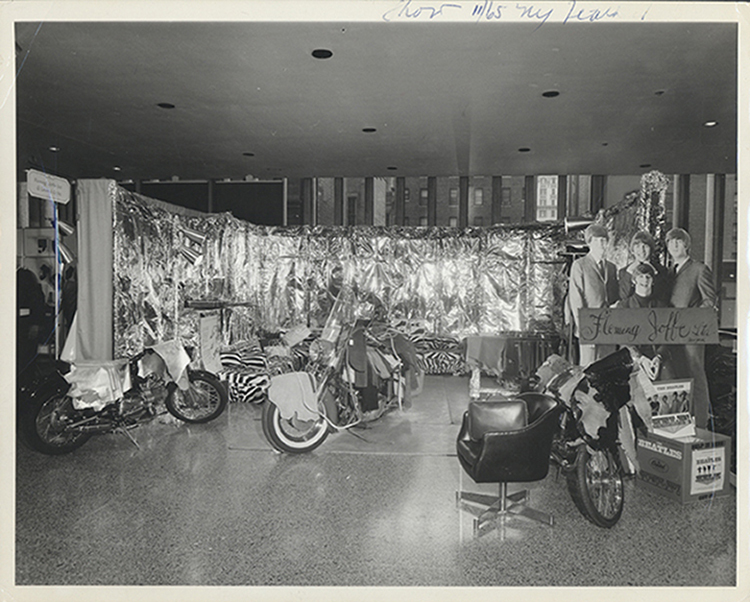 Expansion began, and their first showroom opened in 1984 in New York City. 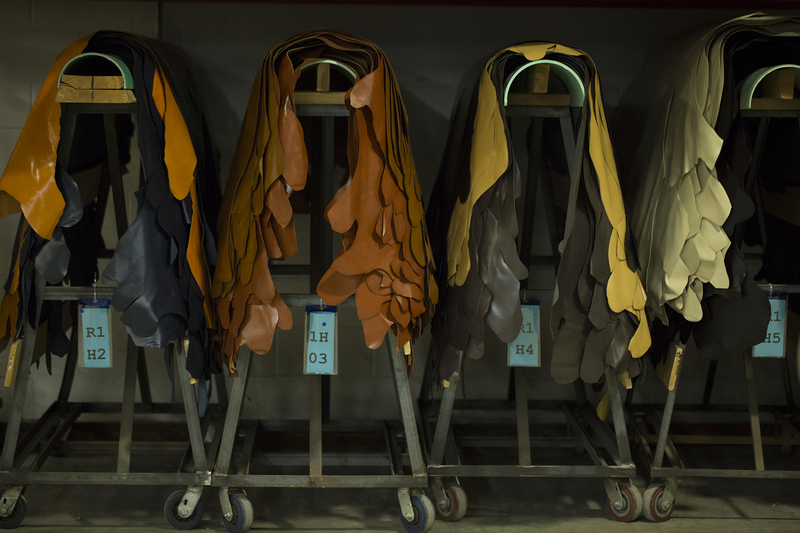 Edelman Leather opened their finishing plant in upstate New York at the end of the 1980s. Third and fourth generation artisans joined the Edelman team to hand finish and color the finest specialty and custom leather. 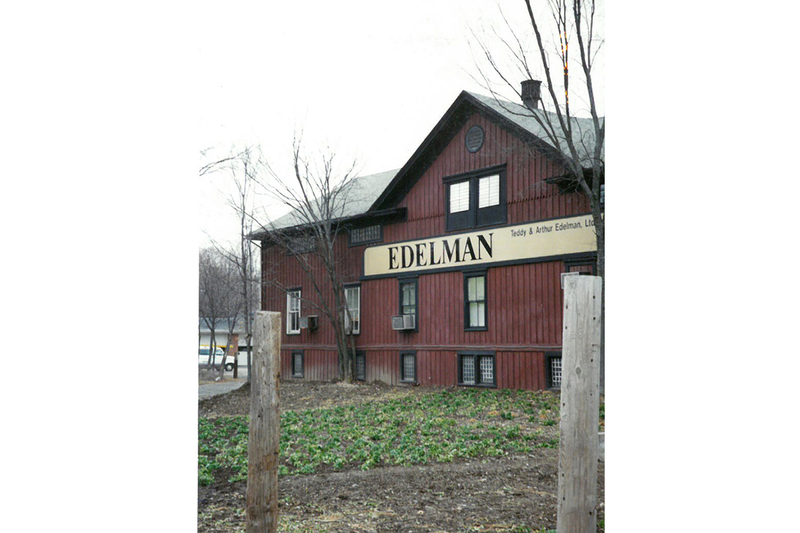 Edelman continued as a family business, with two of the six Edelman children, Mary and David, running the company with their parents. Their son John joined the company in 1996, helping it grow exponentially over the next decade and a half. In 2000, Teddy and Arthur, celebrating 50 years of crafting leather, moved Edelman Leather to larger headquarters in Connecticut. Over the next several years, Edelman opened showrooms throughout the United States and worldwide, including the first all-leather showroom in London at the Design Centre Chelsea Harbor in 2009. Edelman continued to link with high-end visionaries in the world of interiors. The company formed a relationship with Herman Miller, the manufacturer of high-end furniture by George Nelson, as well as lsamu Noguchi, Alvar Aalto, and the Eameses in the early 2000s. 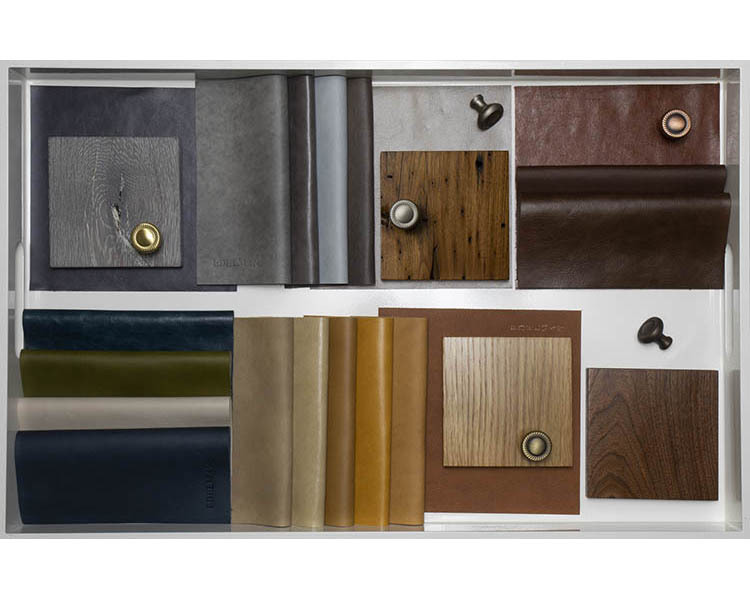 Soon after, Edelman began alliance partnerships with Allsteel and Geiger to use Edelman leather on their products. Edelman also continued to gather accolades and awards, including a Hospitality Design Award and Best of Year (BOY) Interiors Award. In 2008, Knoll, known for its commitment to design excellence, bought Edelman Leather, while Teddy and Arthur stayed on as consultants. It was a pairing that brought together creative forces and opportunities for new paths forward rooted in tradition. Edelman continued to forge important partnerships with design-forward companies including Carl Hansen & Son, Bright, and Design Within Reach, which use Edelman leather on their impeccably-crafted products. 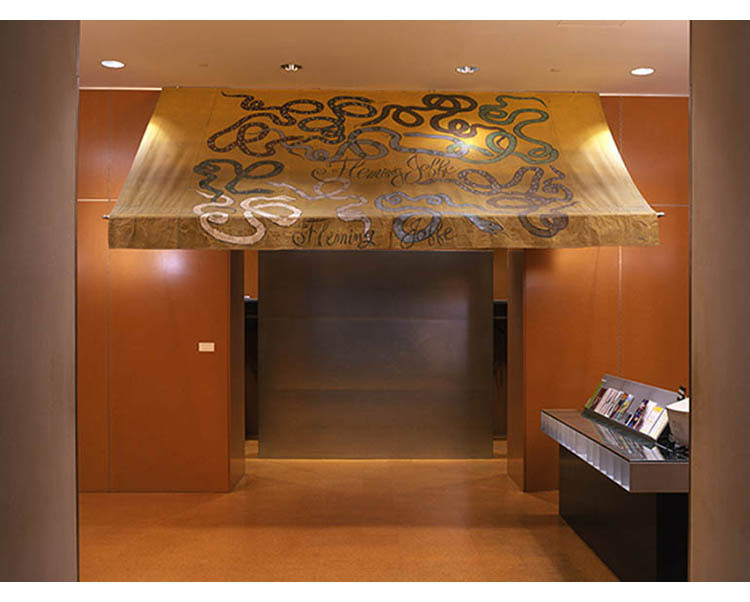 Kyle Bunting, creator of decorative hide rugs, offers his line of rugs, wall coverings, and upholstery through Edelman showrooms in New York, Chicago, Dallas, Denver, Los Angeles, Dania Beach, San Francisco, and London. And Edelman is the exclusive North American distributor for Ruckstuhl Carpets, which has been turning sustainable fiber into art since 1881. The most recent decade spanned anniversaries, continued accolades, and growth. In 2011, Edelman celebrated 30 years in business. In the spring of 2018, the new “Stella” line, a versatile, beautiful leather with a wear-resistant finish in 34 colors, was the largest launch in the company’s history. And this year, the newly renovated London Showroom, designed by the highly-regarded architectural firm Gensler, re-opened. Today, the line includes more than 800 colorways and over 80 types of leather, all sustainably-sourced. Teddy and Arthur Edelman’s luxury leather is in hotels, homes, offices, and airplanes. And their vision and legacy continue.